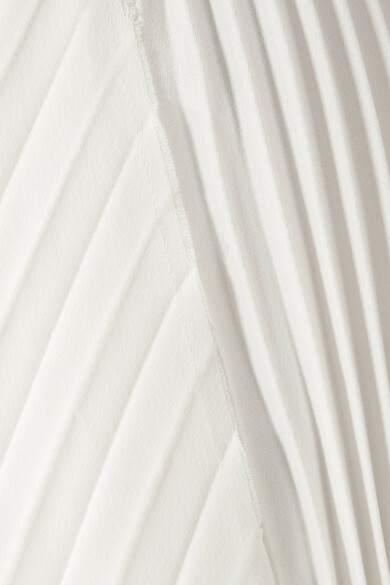 Catherine Holstein draws on her fine art background for Khaite's Resort '19 collection, hence the sculptural shape of this 'Charlotte' skirt. 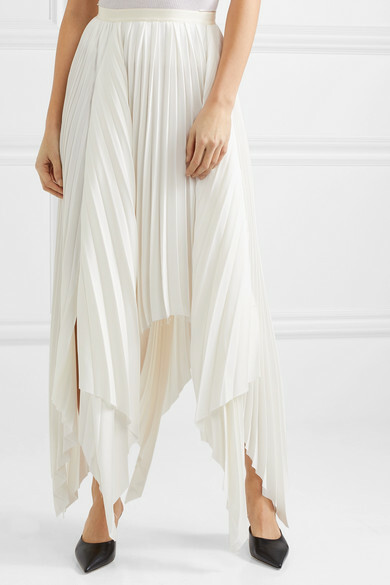 It's cut from pristine white crepe and razor-pleated to create swishy movement through the asymmetric hem. Style it with a tailored blazer, just like it was at the show, or slip a chunky cardigan over the top. Shown here with: Khaite Cardigan, Loewe Shoulder bag, Jimmy Choo Pumps, Isabel Marant Belt, Jennifer Fisher Earrings.